It is just six seconds long, but a new time-lapse video perfectly captures an entire pregnancy. Popular Vine artist Ian Padgham posted the video less than a week ago after painstakingly capturing two frames of wife Claire Pasquier’s pregnancy each month. 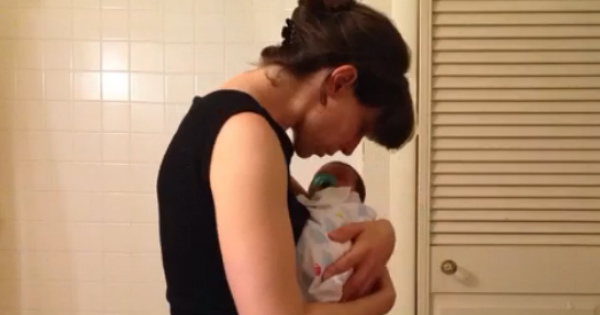 Filmed in the same spot in their bathroom every time, it documents nine months from the start of the pregnancy to the introduction of their newborn. “It was a fun way to capture the progress,” Padgham – who creates professional Vines for various brands – told BuzzFeed. It’s already been viewed more than 12 million times, making it one of the most popular Vines of all time.